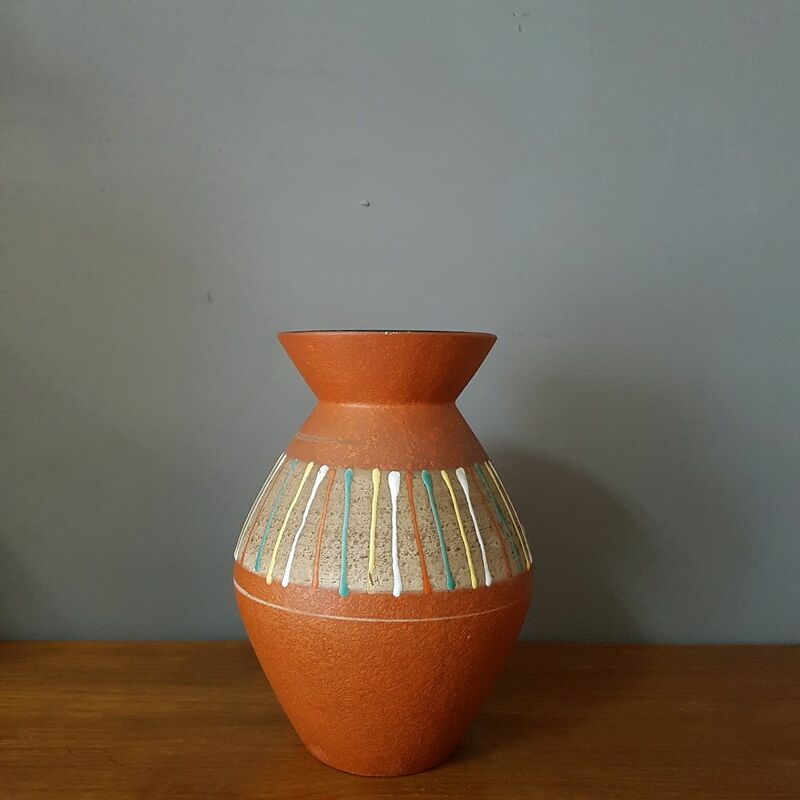 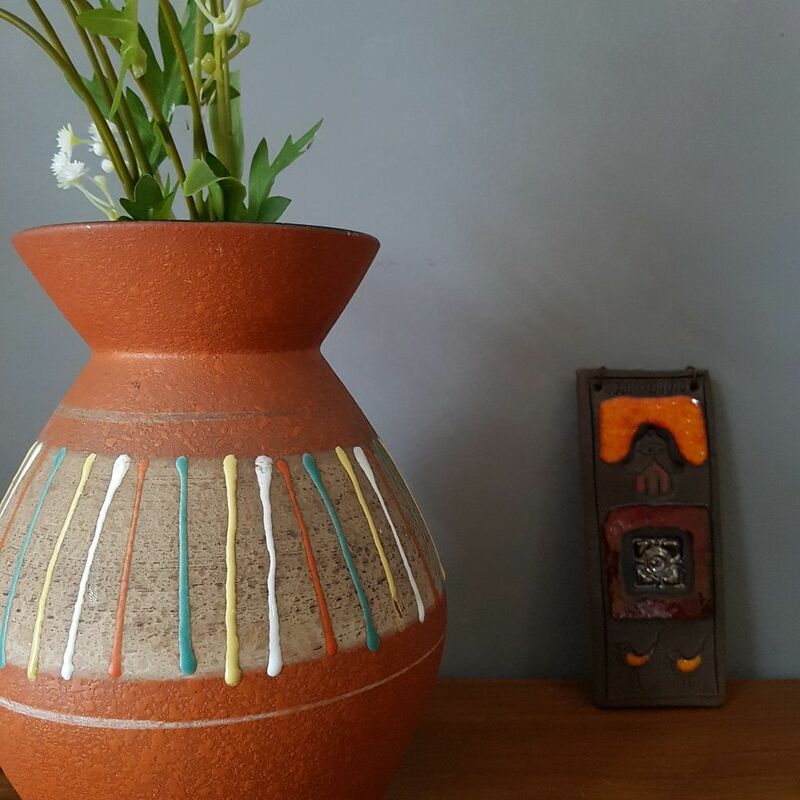 This eye-catching vintage West German vase has a lovely matte textured finish in burnt orange and a multicoloured stripe detail running around it. 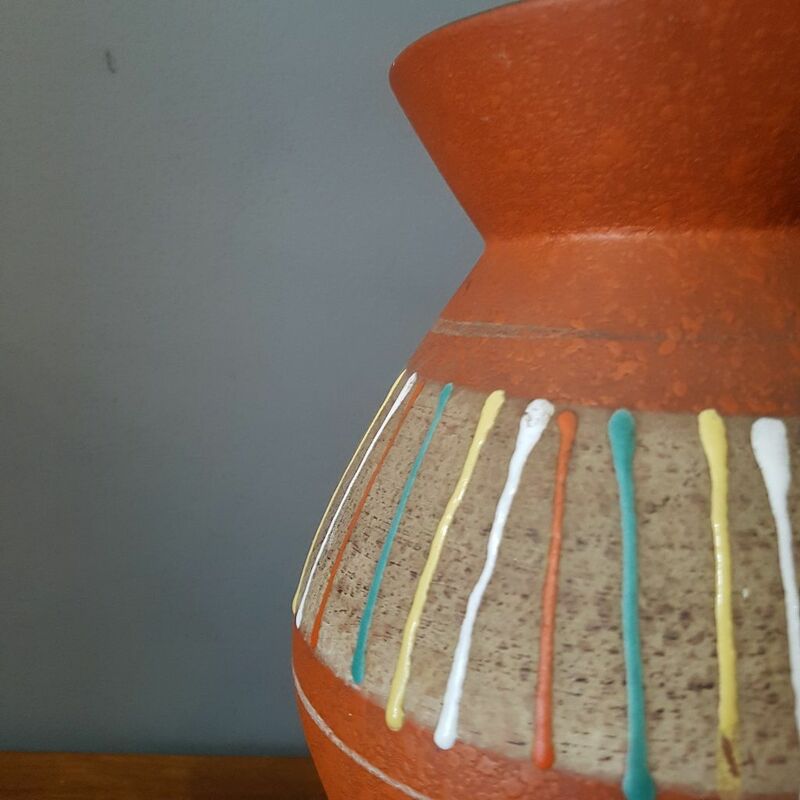 The inside of the vase is coated in a smooth black glaze. 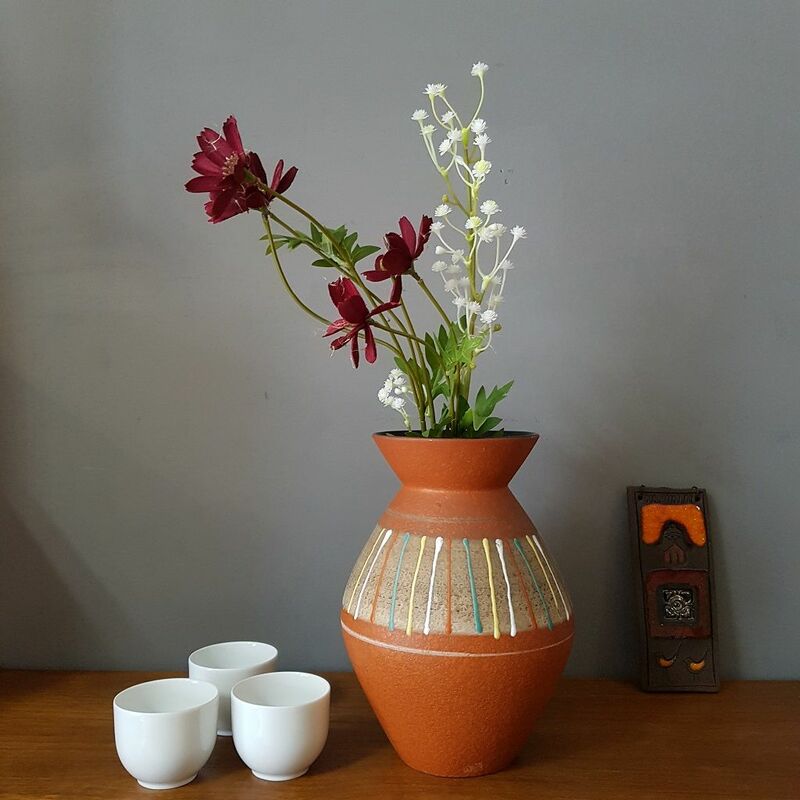 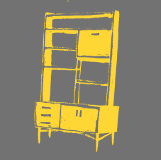 It would make a beautiful addition to any home, either with flowers or displayed on its own.